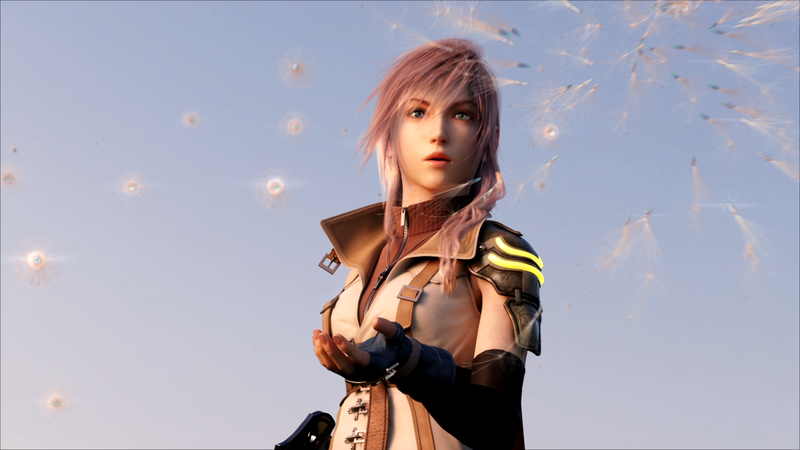 Eager fans digging around through the available files found in the recent PC port of Final Fantasy XIII have discovered some of the unfinished content that had been left aside upon the game’s original release. The area, known as the Seventh Ark, was possibly intended as post-launch downloadable content. Within the dungeon, the developers had also placed a Nemesis boss, similar to the fal’Cie Anima players encounter near the beginning of the game. The area inside was eventually later reused in Fina Fantasy XIII-2 for the battle against the demi-fal’Cie Adam. According to the Final Fantasy XIII Ultimania Omega, Square Enix decided to cut this content because they felt it wasn’t quite up to the quality they wanted and “because of the great differences between the PlayStation 3 and Xbox 360 network systems.” The Seventh Ark was originally planned to be a quest-like play and free battle area. I hope they’ll discover much more!! would be cool if they uncovered the Snow motorcycle minigame when XIII-2 comes out on PC. Wow, their Japanese voices are much better than the English ones! Toriyama said pretty clearly all content not in the final game wouldn’t be released as DLC, explaining that a lot of the time content is left out due to not being up the standard. So it’s safe to assume it wasn’t planned for DLC I reckon.